This airplane themed print is sure to brighten up your baby's nursery or your child's room! Artwork is hand drawn before being scanned and colored digitally. I then print each piece with a professional printer using Ultrachrome archival inks, and acid free watercolor fine art paper. Each "Aviator Bear" print will be personally signed by me, the artist (on back). 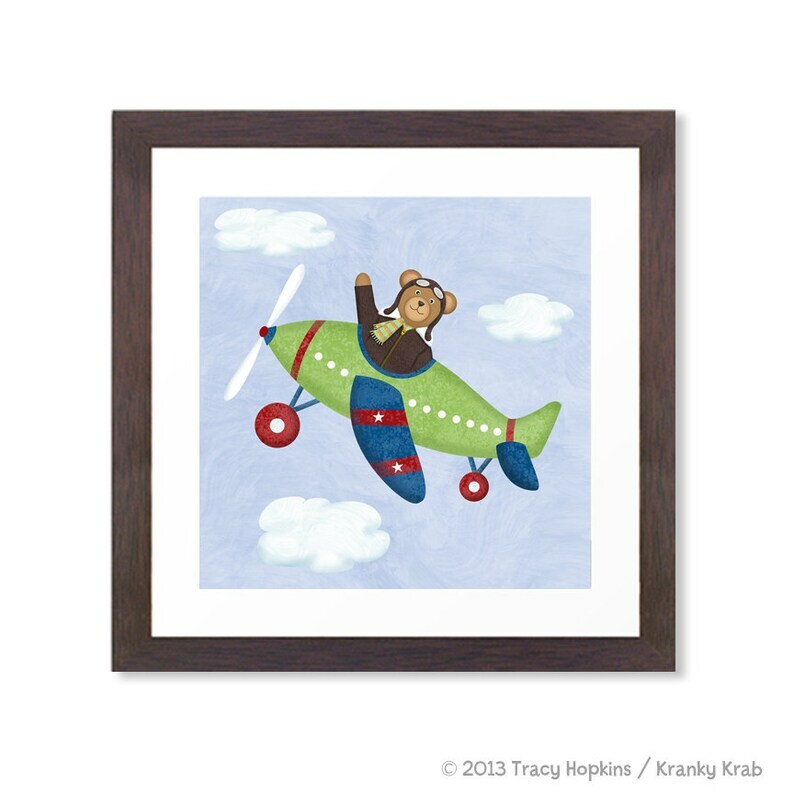 "Aviator Bear" print measures 12" x 12". FRAME and MAT NOT INCLUDED. Beautiful picture & fast delivery! Will go great in my son's nursery!